...proper installation and maintenance procedures are a must to ensure great performance and long life. 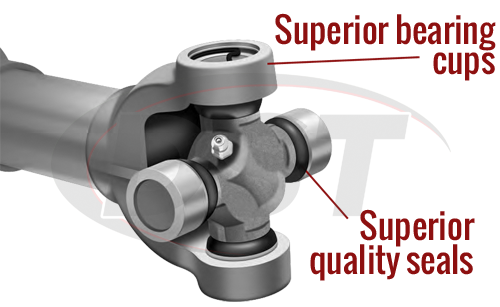 Moog Premium Universal Joints are designed with several features that enable them to meet and exceed OE standards and real world problems. That being said, proper installation and maintenance procedures are a must to ensure great performance and long life. Here are some installation tips from our DST support team to help you ensure you get the most out of your Moog U-joints. 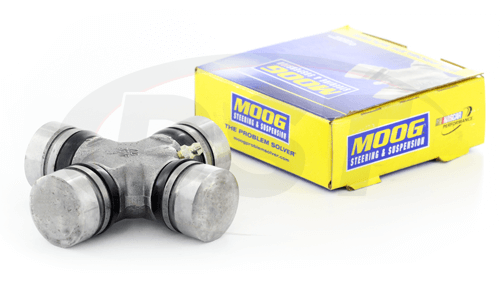 Moog universal joints are designed with a zerk grease fitting that fits directly into the body or in the cap. 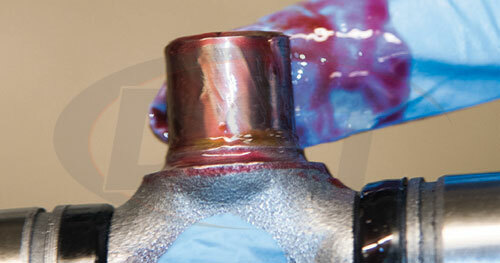 Before you get started, it is important to note that the u-joint must be grease prior to installation. There is only enough grease in a brand new Moog u-joint to keep the needles in place during assembly. This is not a sufficient amount of grease for operation. Mark components so they can be reassembled in the same position relative to each other. This helps to keep rotational forces balanced in the drivetrain. Be sure to clean all mating surfaces of the yoke, especially the snap ring grooves. Doing this will allow the bear caps and snap rings to be fully seated during installation. 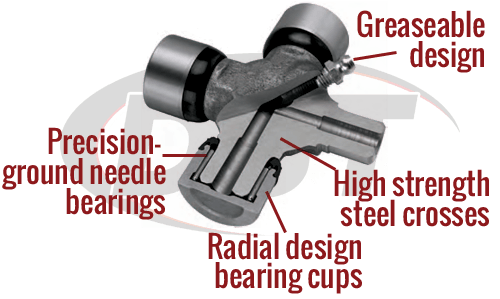 Remove, lubricate and reinstall the bearing caps of the u-joint. The recommended grease for Moog premium u-joints is NLGI #2 GC-LB lithium complex EP grease, preferably a synthetic. This grease is the best for extreme pressure, high-temperature protection. Use care not to lose any needle bearings when removing and installing the cap, and make sure none of the needles are dislodged. If you are unable to find the recommend grease, make sure to use a grease that is at minimum compatible with lithium grease. 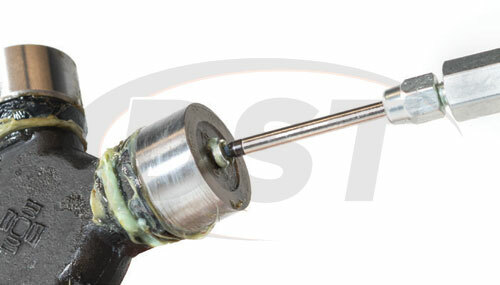 Once the u-joint is installed on the vehicle, apply grease until clean, fresh grease extrudes from all four of the cup seals. If flush type fittings are used, use a needle nozzle such as the Lincoln 5803. 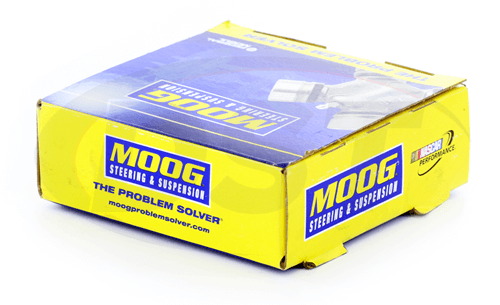 To ensure optimal performance and long life, Moog recommends greasing the u-joints at every oil change. Wipe the grease gun coupler and grease fitting down before you attempt to push in new grease, making sure the bearing is not contaminated by dirt. Just as during installation, slowly add grease until clean, fresh grease extrudes from all four cup seals. Not only does this allow fresh lubricant to reach critical areas, but it ensures that new grease is spread evenly across all bearing surfaces and eliminates any debris. 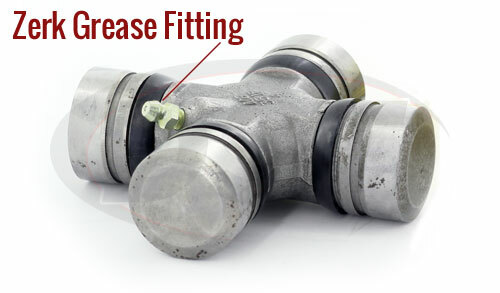 Also while servicing your u-joints, inspect the seals for any damage. Be sure to clean away excess grease away from the seals and grease fittings after you service them. If the vehicle is used in more demanding road conditions, like racing, off-road or high-impact vehicles, more frequent service is required. 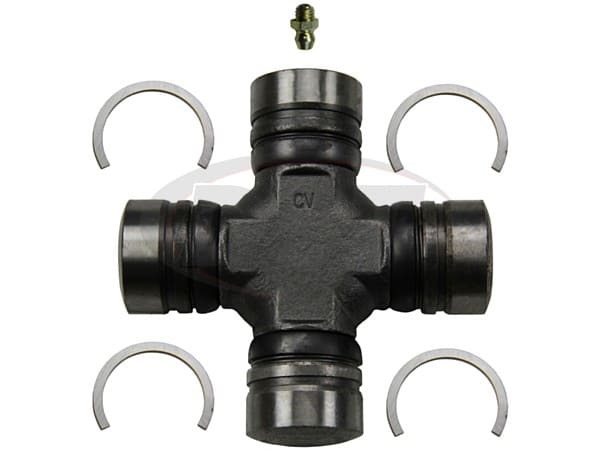 Any u-joints that have been submerged in water need to be re-lubricated as soon as possible to prevent rust or corrosion from forming. Any questions you have don't hesitate to ask our DST Customer Service team! What is the warranty for a moog-374 ujoint?